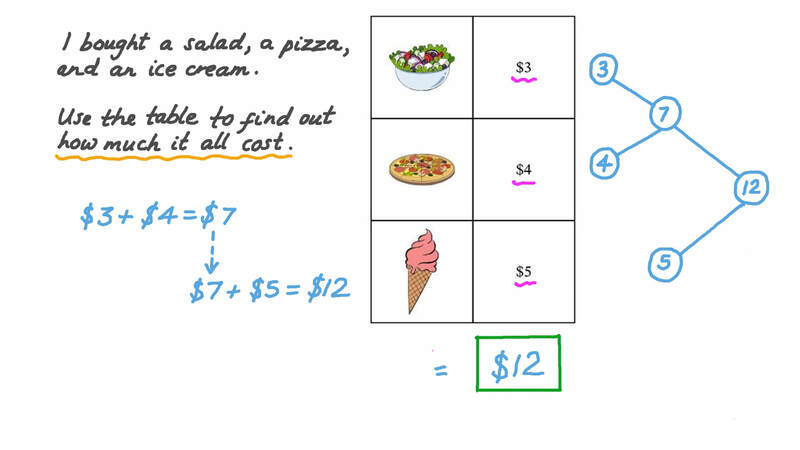 In this lesson, we will learn how to add currency, such as dollars and cents, up to two digits using tables and figures and how to use that to solve real-world problems. I bought a salad, a pizza, and an ice cream. Use the table to find out how much it all cost.